Fergus is a smaller standard size Poodle. He is about 2 years old here. He is a very sweet - goofy - and fun loving guy. Desert Storm of Hearthside - aka Desi. This is our sweet chocolate merle Poodle - we got him from Sabine Greene in Georgia. ​I drove there to get him, south of Atlanta. Sabine met me me - really enjoyed getting to visit with her. He is a wonderful boy. Awesome Paws Barnabas Lee of Hearthside - aka - Barney. 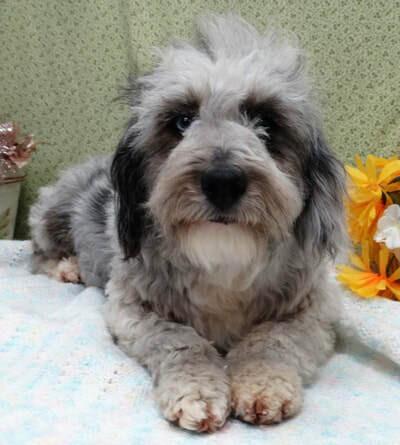 :o) This sweet boy is a Moyen size Poodle - he weighs in around 33 to 35 pounds - he is a perfect sire for our Miniature Australian Shepherds, such as Charlotte and Cora - and some of our first generation Aussiedoodle mamas. 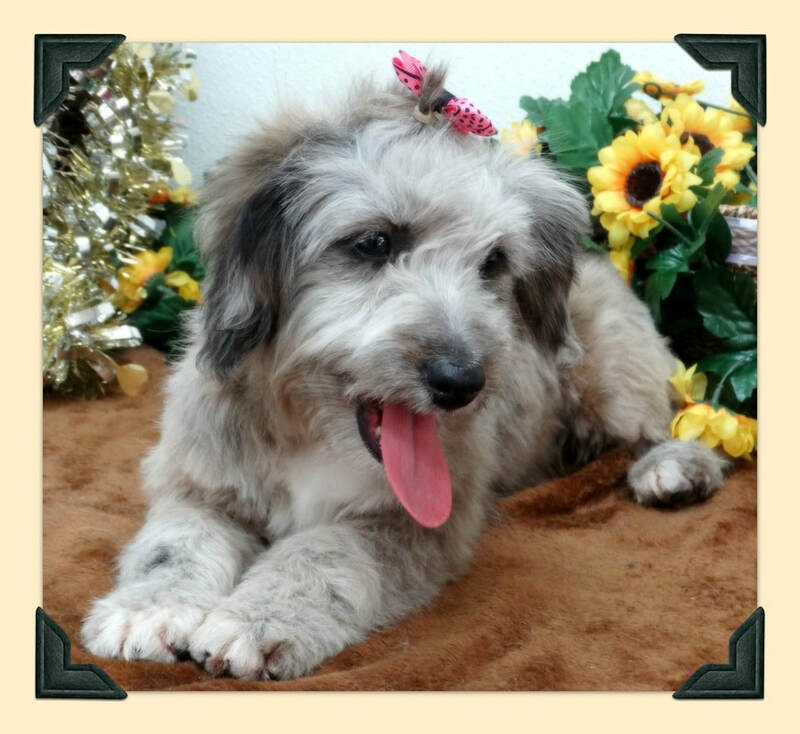 ​Above is a slideshow of pictures, all of our sweet Charlotte. She is a red merle - with darker spots than Coral has. Charlotte weighs in the mid to upper 20 pound range - she is happy and intelligent and loves being in the field with us. She is our first Aussie to be a mom - and what a great mama she is being. Charlotte's registered name is Charlotte Sydney of Hearthside. Rose Reagan is another one of our Standard Australian Shepherds. Here she is when we took our trip to the creek - and of course - she jumped right in - like a good honest Australian Shepherd - she loves the water. 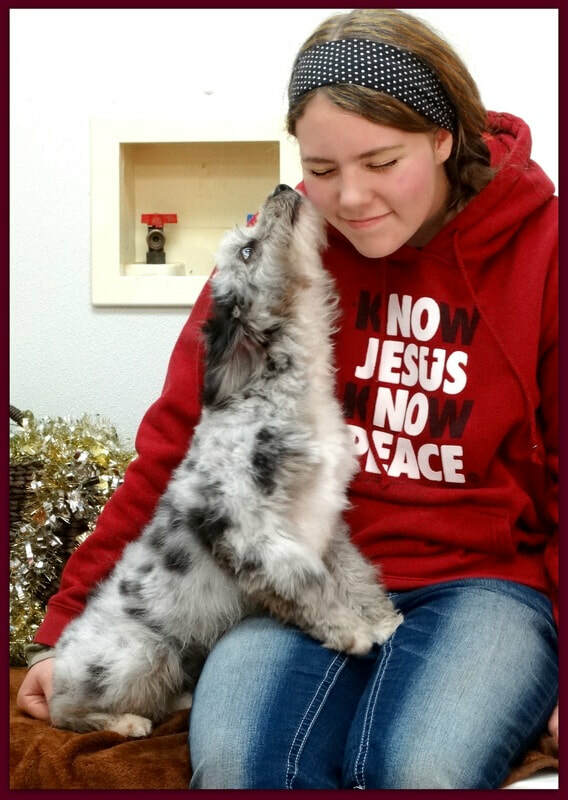 :o) This sweet girl is blue merle and white. 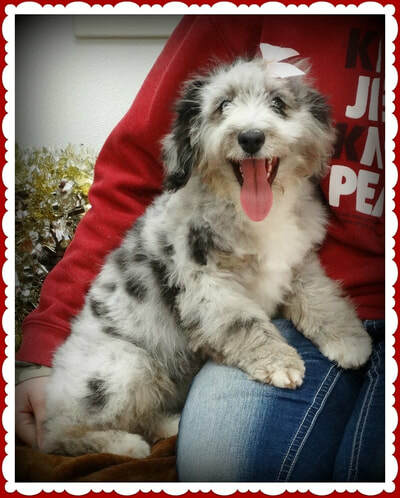 Gypsy is a gorgeous blue merle with copper markings. She is a first generation Aussiedoodle - miniature size. This baby girl is wonderful. She is over a year old now. Gypsy Gold of Hearthside - this is sweet Gypsy. Okay - so back in April, 2017, Becky and I took a trip to go and pick up our baby girl, Gypsy. We were listening to old songs - via blue tooth / you tube. :o) - Well you know the Willie Nelson - road trip song - "On the Road Again" - oh my, what a perfect name for our new puppy - Gypsy - and doesn't she just look like a super cute Gypsy? And with her coppery gold markings - Gypsy Gold - just had to be her new name. 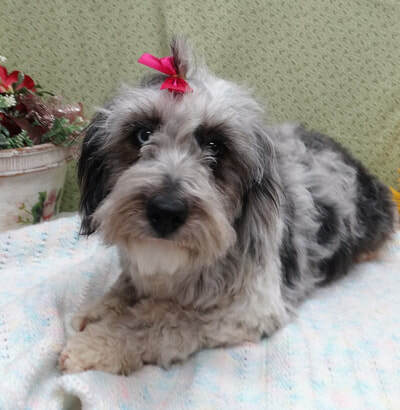 Gypsy is a first generation Aussiedoodle - she is not related to any of our boys or girls here. This is Xenia - which means hospitality. She says, "Come and visit - we love company." :o) Xenia is Rivi's sister. Just couldn't pass them up, they are Hearthside girls. :o) Xenia's name on paper is "Hearthside's Acts of Hospitality". This is Rivi - short for River - her name on paper is "Hearthside's Crossing the River". She is another daughter of Coral and Freedom - but younger than Dora. :o) She has one blue eye, and one dark brown eye. She is a very sweet and a happy girl. :o) The pictures above are from 2 different times.